Political differences led to off-screen drama within the Baldwin family. Hailey Baldwin, the daughter of actor Stephen Baldwin, says the clashing views between her Trump-supporting father and others in the family who stood with Hillary Clinton took a toll on her during the 2016 election. “That was a very hurtful situation for me,” Baldwin, 21, told British newspaper The Sunday Times. “I love my father, he’s an amazing dad, but we so strongly disagreed on (the election). Baldwin, a model and a host of TBS’ “Drop the Mic” show, noted that she voted for Clinton. Her father’s support of Trump has been well-documented, and he even revealed last December that he hadn’t spoken to his older brother Alec since the election. 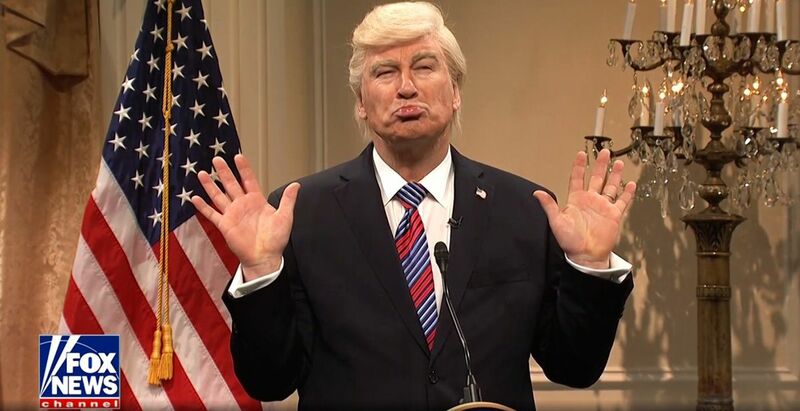 Alec, 60, has repeatedly parodied President Trump on “Saturday Night Live” since 2016 — an impersonation that the President himself has condemned. Stephen, 52, meanwhile, said his brother’s Trump portrayal was “getting a little nasty” during a 2016 interview with CBS News. He opted not to discuss the impression any further during last year’s conversation with THR. His brother Billy Baldwin has also publicly criticized Stephen’s political views. Shortly before election, Billy took issue with Stephen tweeting that their late father would be “ashamed” and “disgusted” by the media. “If our father were alive today… he’d smack you in the side of the head for supporting Donald Trump,” Billy, 55, replied on the social media website. This isn’t the first time Hailey has spoken about the challenge of being on a different page than her father politically. She told The Times in March that it was a “very big issue” for her and said her father’s opinions had “changed with how everything’s unfolding,” but she didn’t provide any specifics about how his views had actually changed.